Dr Manaf has been practising as an Orthodontist in Australia since 1987, after graduating with a degree in Dental Surgery (BDS) from the University of Newcastle in England. She has also completed her Master’s Degree in Orthodontics from the University of Wales in Cardiff, allowing her to specialise within this advanced niche of dentistry. Dr Manaf’s in-depth training within the industry, as well as her passion for orthodontics, has also led her to become a member of several notable organisations, including the Australian Dental Association, Australian Society of Orthodontists, Australian Society of Lingual Orthodontists, American Association of Orthodontists, and Australian Orthodontic Board. She is a fellow of the World Federation of Orthodontists and a dental fellow of the Royal College of Physicians and Surgeons of Glasgow. For Dr Manaf, orthodontics gives patients an opportunity to change their lives by improving both the aesthetic and function of their smile. She loves the boost in self-esteem and confidence that a straighter, more beautiful smile can offer, and always strives to treat each patient as an individual and with the respect they deserve. Like the rest of the Harmony Orthodontics team, Dr Manaf is passionate about continuing her education and training in the field of orthodontics and spends a large amount of her time attending conferences and additional courses at university. 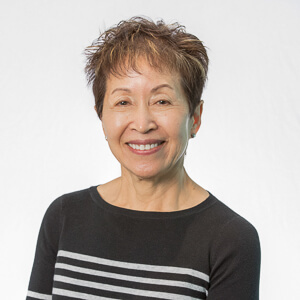 Along with her time in Riverton, she has also spent over 30 years working in rural practices and assisting small mining communities with their oral health. Additionally, Dr Manaf loves to keep fit and healthy, regularly attending the gym, going for walks, or partaking in yoga. She is an avid animal lover who loves supporting the admirable efforts of Animals Asia, RSPCA, and the World Wildlife Fund, along with caring for her two cats.